You are here: Home / Emotional Healing / How to Unlock Your Inner Body Awareness? Do you know how to go inside and connect with your inner body awareness? Most of the time, our daily attention takes us outside our bodies. We focus on outer tasks and people. We stay caught up in our minds, thinking, thinking, and thinking. Can you stay present with the sensations inside your body? Can you feel the energy within? Do you know the best way to heal your body when you feel ill? Is it withdrawing from our body when we experience discomfort or pain? Perhaps, we would heal faster if we bought attention and love to the pain within. We all know what we resist persists. How many times have we taken medication to rid ourselves of pain only to have a different pain appear somewhere else in our bodies? 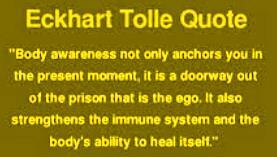 Eckhart Tolle and Judith Orloff, M.D. 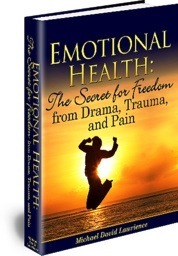 both recommend conscious attention to our bodily pains, as a first step to alleviating pain. I believe pain has a message. Our body speaks to us with its own intelligence if we have the ears to hear. Pain can guide us towards getting well if we listen and respect it. Listening requires trusting our intuitive senses. Perhaps, this also means we need to look at past emotional wounds and change nonworking behaviors which harm us. Do you have the courage to make the changes to transform pain into wellness? 1. 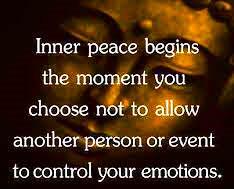 Focus on your in and out breath as it occurs naturally. 2. When your mind wanders to the past or future come back to your breath. 3. Awareness of your breath brings you back to the present moment. 4. Gradually become aware of sensations in your body, both uncomfortable and pleasant. 5. Stay with each sensation, regardless of how vague for as long as you have time. 6. When your mind wanders to the past or future come back to your breath. Note: It takes time to develop our skill of inner body awareness. Eugene Gendlin has a 6 step method called Focusing for developing skill to access our inner body awareness, our gut sense. This method can lead to bodily shifts and decreasing physical and emotional turmoil. Michael as a Residential and Self-Esteem Coach and Mentor has over 15 years’ experience teaching teen’s self-awareness, self-esteem, and self-reliance. 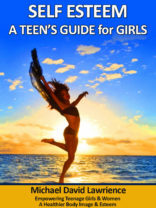 See eBook See eBook Self Esteem- A Teen’s Guide for Girls http://ow.ly/I9QjY This book is valuable for women also. Thanks for posting the video! Agreed, inner body awareness is important. A few years ago I learnt abut the Sedona method and the Release technique. I find it really helps, as Janet above me mentioned, to stay with the discomfort until it disappears. I sometimes tend to think of negative emotions as neglected children who are just doing the best they can to get our attention, to get us to listen to the message they have for us. All too often we just push pain away, until it becomes bigger and bigger, and harder to deal with. Janet the methods described in the article have their foundation in Buddhist Mindfulness techniques.